Is Cryptocurrency Safe? A Digital Delight Or Devil? Everyone is talking about the new digital currency avatars, the cryptocurrencies. But are they safe to invest? Some say a lot of good things about the digital currencies while others differ vehemently. Let us discuss some basics about cryptos before seeing the pros and cons. A cryptocurrency is a digital asset created and stored electronically. The purpose is to serve as a medium of exchange in place of conventional currency. Cryptocurrency has no physical form and exists only in a network. The technology used is called cryptography. Cryptography has two main objectives. Verification of fund transfers and safety. Creation and supply of conventional currency (like US Dollars, Great Britain Pounds, etc.,) is by respective central banks. Thus safety of traditional currencies is kind of guaranteed. But the scenario is different in case of cryptos. The supply here is over a network using a unique technology. You will see in detail about the technology in a while. Bitcoin is the most talked and probably the most invested cryptocurrency today. If you want to know who created Bitcoin, the answer is not obvious. For some reason, the creator remains anonymous. 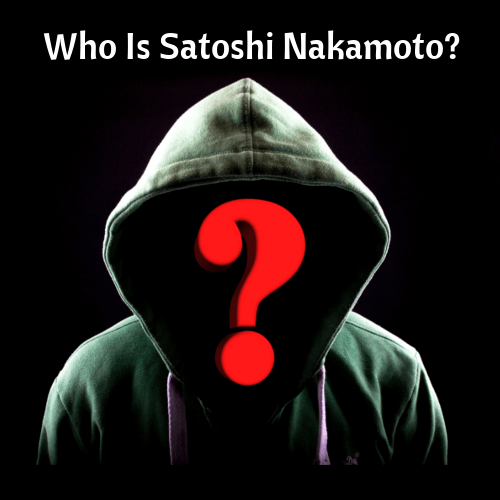 The only know-about is a mysterious name, Satoshi Nakamoto (known through some early documents). The name may represent an individual or a group. People who say Bitcoin is not safe put forward the anonymity of founder as a strong point. A cryptocurrency’s coin is validated by a blockchain (?). A blockchain is a list of records or blocks that grow continuously. The blocks are linked and secured using cryptography. Each one is linked by a hash pointer to a previous block. Every unit will have timestamp and transaction data. The data cannot be modified in a blockchain. They are secure by design. How Crypto Miners Keep the Network Alive? Now let us discuss what is called “mining” in the context of cryptocurrency. Mining (broadly) refers to a process of validation associated with crypto transactions. The successful miners will be awarded new cryptocurrency (initiating supply). Cryptocurrency, a Security or a Commodity? Digital currencies (because of their nature) are not yet classified as securities or commodities. There is a prevailing discussion among experts to find the right category. For example, in the US, SEC (Stock Exchanges Commission) and CFTC (Commodity Futures Trading Commission) have asked for a greater analysis and classification of digital assets. How Crypto Startups Bypass Regulations? Startups are raising funds through a process called Initial Coin Offering (ICO). The process is analogous to Initial Public Offering sans regulations. ICO is used by start-ups to bypass regulations by VCs and banks. SEC is already acting against these kinds of fundraising which are illegal and have no guarantee of investor safety. Where are Cryptocurrencies Used Today? Since ICOs are becoming harder, cryptocurrency is mainly used for trading over the internet these days. Some popular currencies that are being traded include bitcoin, ethereum, ripple, litecoin, stellar and verge. Especially, the billions-of-dollars trade volume of bitcoin is making news nowadays. Cryptocurrencies are traded on online exchanges which are largely unregulated. These exchanges are potential targets for hacking and other technical problems. The trading is carried in public chat rooms or on mobile chat apps. Peter Van Valkenburgh is the director of research at the Coin Center, a member of the growing cryptocurrency lobby. According to him, lawmakers need to distinguish between ICOs that operate like securities and other virtual currencies including bitcoin, which he considers a commodity. According to Peter, cryptocurrencies can be regulated as both a security and a commodity. In other words, a distinction between ICO and trading should put an end to questions surrounding the legality of cryptos. The US derivatives regulator warned investors against scams. These scams work like this. False information is spread deliberately to inflate the prices of cryptocurrencies. While rising prices lure investors, there are high chances of one losing money later. These schemes are called “pump-and-dump” schemes. How Exactly Pump and Dump Works? Organisers post false or misleading information attracting the investors in the “pump” phase. They themselves buy at higher prices. In the “dump” phase, the organizers quickly sell their holdings and profit at the cost of innocent investors. Many investors who lost money on such scams have complained to CFTC. CFTC, in turn, has warned buyers not to invest in cryptocurrencies. If the above warning is not enough, here is the statement by Erica Elliott Richardson, the director of public affairs at CFTC. The financial regulators around the world have intensified the scrutiny of cryptocurrencies. There have been warnings on safety noting noting the virtual coins do not have government backing. A research paper by students of three business schools has thrown light on the scale of illegal activities carried out using Bitcoin. Here is a summary of the estimated numbers associated with illegal activities. If the above numbers aren’t enough, below is a frightening fact on the value of illegal transactions in US dollars. Nowadays, legitimate and legal use of Bitcoin is growing. The proportion of illegal use is on a downward path. But, the vacuum is quickly filled by the rise of other “secretive” cryptocurrencies. 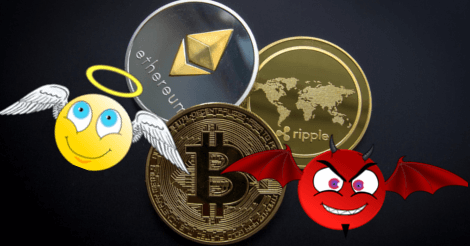 These new cryptocurrencies have received comparatively more attention from people involved in illegal activities lately. Are Investments Safe From Hacking and Theft? Hackers are active in the crypto sector. About USD 530 million of digital currency from Japanese exchange Coincheck was stolen in January. 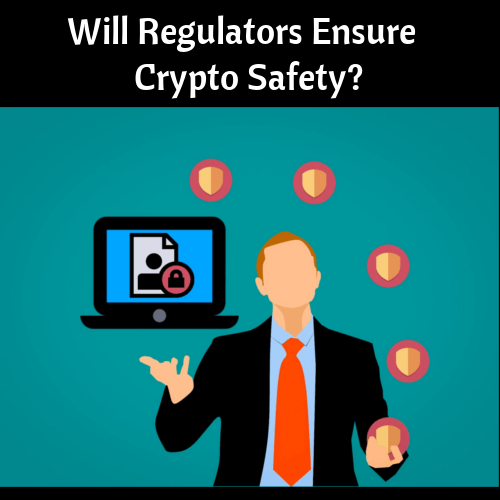 Will Regulators Ensure Cryptocurrency Safety? Financial regulators knew the risks of cryptos. Some say there could be a bubble in the making. It is high time for the governments to act to ensure the safety of invested money. 1. Investors should be protected against false information and potential losses. Ignorance of the investors should not be left for crypto “pumpers” to capitalize on. 2. In spite of the negatives, cryptos are a child of a wonderful technology. In case, regulators want to promote cryptos in a more transparent and legal form, new laws at a global scale have to come into the picture. Hopefully, in the upcoming G20 summit, cryptos will make it a part of the agenda. Countries like France and Germany precisely want that. Let the cryptos rise like a star or fall into the shadows but not at the cost of poor investors.